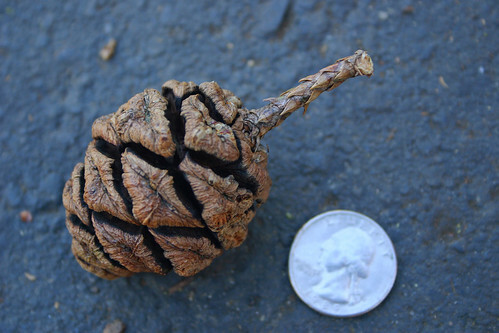 The cone of a Giant Sequoia is pretty small. The seeds contained inside are the size of a grain of wheat! It is pretty amazing that trees so massive can grow from something so tiny. This entry was posted on March 30, 2008 at 9:48 pm and filed under Big Trees Trail, California, Giant Forest, Giant Sequoias, hike, National Park, Sequoia, Sequoia National Park, trail, trees, vacation.